A friend shared this in her Facebook profile a few days back and I thought I will share this with you. Something to ponder on over the weekend. Actually it came at the right time when I was thinking of posting something on failure. I believe that most of us had suffered failures at several points in our lives; although we may not remember all of them. Do You Remember How You Learned to Walk? Even before you were trying to learn and walk, didn’t you fall down on your bum first? And for me, the first time when I was learning to swim, I almost drowned. Did you almost drown too? The first bicycle ride, I had bad bruises on my knees. Did you have bruises from bicycle ride too? Something from the Dark Knight, “Why do we fall, Bruce? So we can learn to pick ourselves up.” Such simple and straightforward truth. More often than not, we have made things complicated through our thoughts and analysis. Should we have just learnt from our lessons and moved on. Do we allow ourselves to fall and then not picking ourselves up? Thomas Alva Edison did not learn to talk until he was almost four years old and in school, his mind often wandered, and his teacher, the Reverend Engle, was overheard calling him “addled.” And that was the end of official schooling for him. And yet he went on to become an American inventor, scientist and businessman who developed many devices that greatly influenced life around the world. Edison is considered one of the most prolific inventors in history, holding 1,093 U.S. patents in his name, as well as many patents in the United Kingdom, France and Germany (Wikipedia). DermStore is your one stop shop for all your skin care and cosmetic needs. Very inspiring story. We tend to easily give up in front of the challenge while the success most of the time is very near. @ VanillaSeven, indeed, sometimes we gave up just when we were about to be successful. A pretty cool video, but I thought I should mention that the portion regarding Lincoln has less-than accurate info. The article this link disputes the claims that Lincoln “failed in business twice, and lost 8 elections”. .-= Reg Fife´s last blog ..Seniors and Swine Flu =-. @ Reg Fife, thank you for pointing some of the facts about Abraham Lincoln out. Pardon me that I did not verify about the points mentioned in the video. I just did a Google about Abraham Lincoln and Wikipedia goes in line with the link you provided. It is interesting how some simply ‘distorted’ the fact and added colors to them. Although their motive to inspire others is good, to distort it is another issue. Nonetheless, Abraham Lincoln is definitely one of the greatest American Presidents. Thank you once again for taking the time to point them out. Have a great weekend. Anyone interested to find out more about Abraham Lincoln can also check out Wikipedia. That is very inspiring and exactly the kind of motivation I need. .-= Cascia @ Healthy Moms´s last blog ..Aromatherapy For Breastfeeding Moms =-. .-= Tellie´s last blog ..A Taste of Chicago =-. @ Tellie, thank you for sharing the quotation from Barack Obama. Indeed, the important is how we choose to react from the failures that we faced. Very inspiring. It enlightens my mind. I wish I could learn how to pick up the pieces. @ Wheng, we all learn to pick up the pieces by taking the first step. 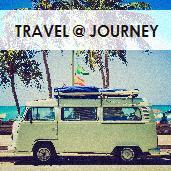 .-= iwalk´s last blog ..I Wanna Travel To Cambodia With You =-. .-= The Fitness Diva´s last blog ..Look at What I Just Found…. My Michael Jackson Cassette! =-. @ The Fitness Diva, indeed, a lot of times we have to believe in ourselves and keep pushing forward. goals can be achieved with patience and persistence plus the commitment to succeed. .-= juliana´s last blog ..Nine Years Ago Today =-. @ Juliana, patience, persistence and commitment; these are the qualities of successful people. Thanks for sharing BK. This is very inspiring. .-= Liza´s last blog ..RT | WW – Chinese Girl =-. [email protected] <<<< this is the address? Anyway, dito na lang pwede ? Description: It is all about my passion to music, cooking, fine dining, travel and leisure, kids, women and anything under the sun. @ Liza, you are most welcome. Tammy, pardon me, it should be .net. Thanks and Congratulations for being one of the TOP DROPPERS in my blog for the month of June! Enjoy! .-= Greenman´s last blog ..Special Thanks to the June Top Droppers =-. Failure teaches us to stand up again and be stronger. Great post BK. .-= Maria´s last blog ..RT/WW – Abstract =-. @ Maria, thank you. We can learn a lot from failures. Those apes that picked on the apes in the next territory. You say they eventually took it over. That’s what life is about, surviving and expanding. I see nothing wrong in that. We’re all beasts. It’s so called ‘civilization’ that’s artificial. .-= Chinaren´s last blog ..Pictures that make you go ‘what the…’ =-. @ Chinaren, is that really what life is all about? That I don’t know. But to me, life is definitely not just about taking over next territory. Perhaps to you, that is what life is about. And there is nothing wrong for the chimpanzees in the wild to act that way; it is survival for the fittest. Darwin’s theory mentioned something about survival of the fittest and natural selection too. .-= sunnymama´s last blog ..The simple things =-. @ Sunnymama, you are most welcome. Glad that you enjoyed the video. .-= Ben´s last blog ..More Thoughts on Life From the Mountainside =-.